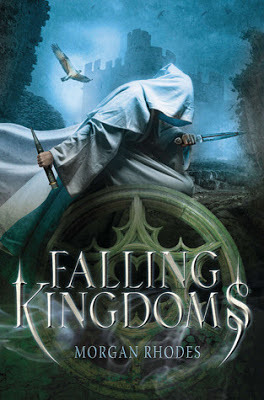 I am such a sucker for an awesome fantasy novel. Sure, paranormal romances and cute pieces of chick lit are fine and dandy, but there's nothing like an epic tale of magic and legends. I grew up reading The Lord of the Rings and Eragon. How could I not crave a little fantasy every now and then? When I first started Falling Kingdoms, I was pretty confused. The story launches into action immediately and doesn't give you much time to figure things out. Thankfully, there is a helpful character guide to keep you from getting too overwhelmed. Not going to lie, I had to refer to it more than a few times simply because there are so many different people to keep up with. Each chapter switches between one of the four main characters' points of view. This can be a bit confusing, but as you get to know each protagonist, it becomes easier. The complexity of the novel is quite impressive. Each kingdom has a unique personality, and I loved exploring the world of Mytica and learning about all of its different inhabitants. Rhodes' vivid descriptions allowed me to easily form mental pictures of the beautiful lands and striking characters. Gah, the characters. I fell in love with so many of them. I couldn't get enough of their vivd personalities and adventures. Rhodes likes to tease. She likes to dangle incredible ideas and characters in front of her readers before snatching them away. The plot toyed with my emotions, and yet somehow I was still captivated. The ending was intense and bloody. I cannot wait for the next book, especially after that closing line. Goosebumps. I'd HIGHLY recommend Falling Kingdoms to lovers of Melina Marchetta's Finnikin of the Rock. Both have the same feel, from the separated kingdoms to the focus on strong character development. 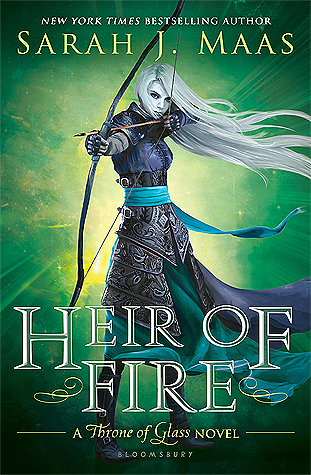 If you enjoy tales with political intrigue and dark magic, then be sure to give this new fantasy a shot.